Epping Forest District Council’s Museums, Heritage and Culture team and St John’s C of E Primary School, Buckhurst Hill are hosting an event to celebrate the life and work of local artist Walter Spradbery. In 1938, Spradbery and his wife Dorothy held an ‘Open Air Social’ with stalls, sideshows, donkey rides, traditional dances and art displays. This will be recreation of that event on its 80th anniversary. There will be a specially choreographed dance performance by Flux Dance Collective who has been working with pupils from the school to create a piece inspired by Spradbery. A historical interpreter will play the role of Walter Spradbery, leading tours into the wilderness to visit the site where the house once stood. The day will end with a fun performance by Impropera, the world’s only improvised Opera Company. Buckhurst Hill Community Association will have an art display, and there will be a small exhibition about Walter Spradbery. He lived next door to St John’s C of E Primary School, in a house known as ‘The Wilderness’ from 1929 – 1969. The site is now part of Epping Forest and a stone plaque marks where the house once stood. Spradbery is best known for his poster designs for London Transport, one of which was recently used on the new signboards marking the boundaries of Epping Forest. He and his wife, opera singer Dorothy D’Orsay, also held many musical and opera performances in the gardens of ‘The Wilderness’ for the local community. Spradbery was also a committed pacifist. He served in the Royal Army Medical Corps during the First World War, receiving the Distinguished Conduct Medal for his bravery in rescuing injured comrades under intense enemy fire. Adult art workshops at Epping Forest District Museum. For the first time Epping Forest District Museum is offering art workshops for adults, led by professional artists this September, as part of the Paths Unseen project. In this adult workshop you will create beautiful and powerful written works of art that will capture your thoughts, feelings and memories using poetry techniques with performance poet Keely Mills. You will also get a chance to develop written, performance and craft skills. Lead by illustrator Jef Winter, in this adult workshop you will discover the fun of drawing and learn how to draw faces using just numbers to create different emotions, break down barriers of what illustration is and how ‘happy accidents’ can make works of art. Connecting the Norman Conquest and Peasants’ Revolt with fracking and our housing crisis via the Enclosures and Industrial Revolution, the show draws a compelling narrative through the people’s history of Britain. Part talk, part folk club sing-a-long; come and share these tales as they have been shared for generations. 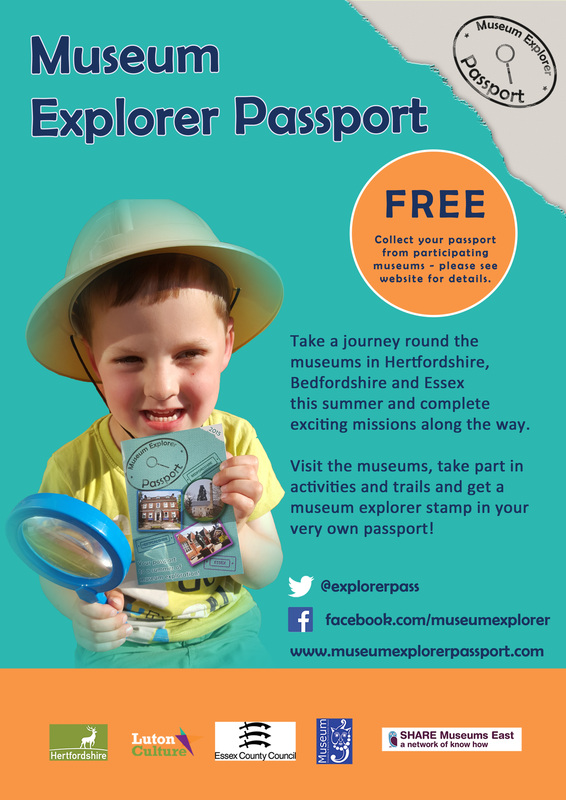 To book your place visit https://eppingforestdc.bookinglive.com/ or call 01992 564226 (Monday – Friday 10am – 4pm). Paths Unseen shows how poetry can be a shared sociable activity. Over the past 18 months performance poet Keely Mills and illustrator Jef Winter have engaged with many individuals and groups from across the local community enabling them to write, tell their own stories and share their work in their own voices. Inspiration has also come from local folklore, encouraging museum audiences to consider art as a medium for rediscovering local history. The exhibition is at Epping Forest District Museum until 30 September 2017. Paths Unseen project has been funded by Arts Council England. Epping Forest District Museum reopened it’s doors to the public on Saturday 19 March 2016 after a 2 year long Heritage Lottery funded redevelopment. The bells of Waltham Abbey Church rang as reenactors from the 44th East Essex Regiment marched up Sun Street towards the museum. A party atmosphere was enjoyed by all who came to celebrate the museum’s special day. They were treated to a jive dance demonstration and a morris dancing display by the Chingford Morris Men in Sun Street. Over 750 people visited the museum, they enjoyed activities including decorating eggs in the new community space, and were given access to all the museum’s new galleries for the first time. The museum team also celebrated the reopening of the museum by making a film showing what has been going on behind the scenes. The ‘Museum on the Move’ film also features as part of the museum’s first temporary exhibition all about transport through history. 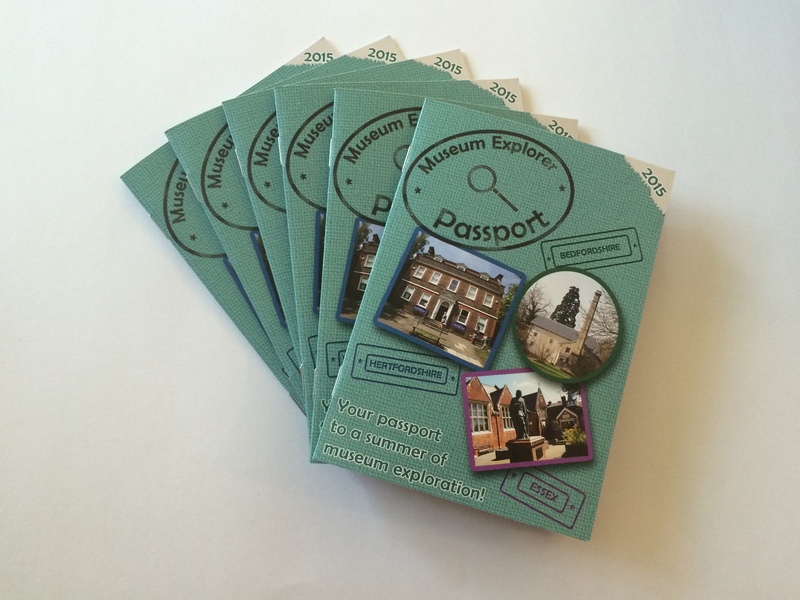 Epping Forest District Museum reopening date confirmed! After a two year long Heritage Lottery Funded project, the reopening of Epping Forest District Museum is on the horizon. The museum would like to welcome members of the public to the museum on Saturday 19 March 2016 from 10am to 5pm to see the fantastic improvements and changes that have taken place on site. With a new community room for schools, groups and activities, a lift making all galleries accessible to the public for the first time and the chance to see behind the scenes the museum will be a unique offer to both local people and the wider community. The museum team are now in the process of reinstalling the objects in the six new galleries ready for the reopening in March, with a much greater number of objects going on display than ever before. On 9 September 2015 Queen Elizabeth II claims the title as Britain’s longest reigning monarch, having reigned since the age of 25. She acceded the throne in 1952 following the death of her father and has reigned during a time of great change in technology and the transformation this has had on the world. Queen Victoria previously held the title of longest reigning monarch. The Epping Forest District has a number of connections with Queen Elizabeth II, including a visit she made as a Princess prior to acceding the throne. She made a visit to Grange Farm in Chigwell in 1951 and was the first person to sign the visitor book there. The Museum is lucky to have this in the collection and below you will see her signature. The Museum also has a collection of images showing street parties and events for Queen Elizabeth II coronation. There are two special events coming up at Lowewood Museum this summer. If you haven’t yet visited our sister site in Hoddesdon this is the perfect opportunity. On Saturday 15th August Lowewood Museum is opening a brand new gallery dedicated to the artist James Ward. 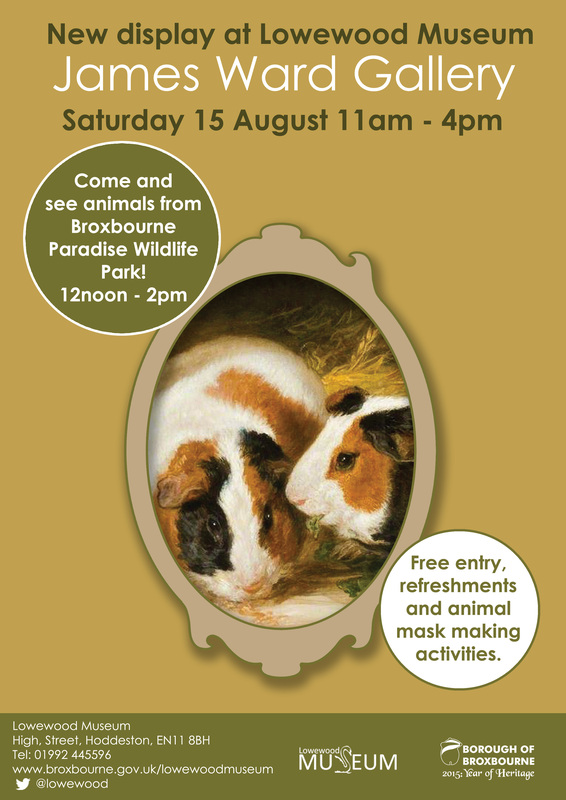 Ward was famous for his animal paintings so we are celebrating the opening with animal mask making activities, refreshments and a special visit from Broxbourne Paradise Wildlife Park between 12noon and 2pm. 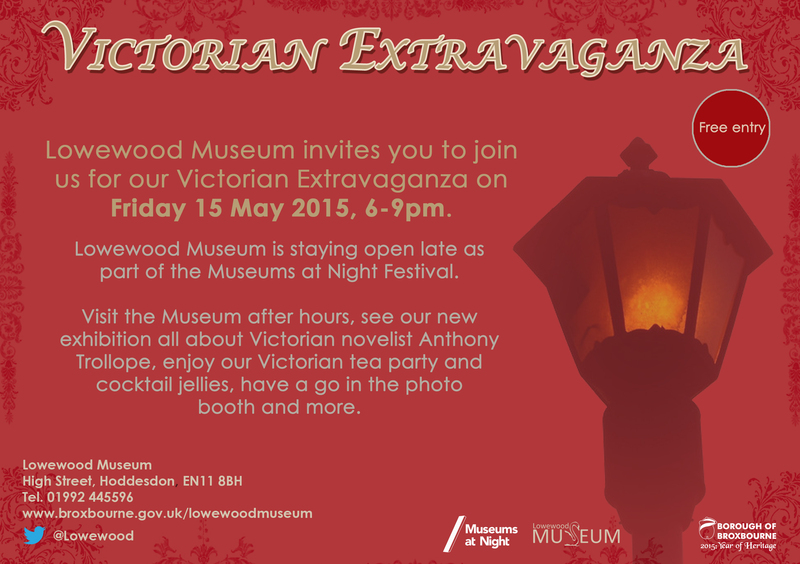 To find out more about these events please email museum.leisure@Broxbourne.gov.uk or call Lowewood Museum on 01992 445596. Mythical Creatures is a NEW regional touring exhibition produced by Epping Forest District Museum and co-curated by students from Epping Forest College. Mythical Creatures is funded by Arts Council England and Royal Opera House Bridge. 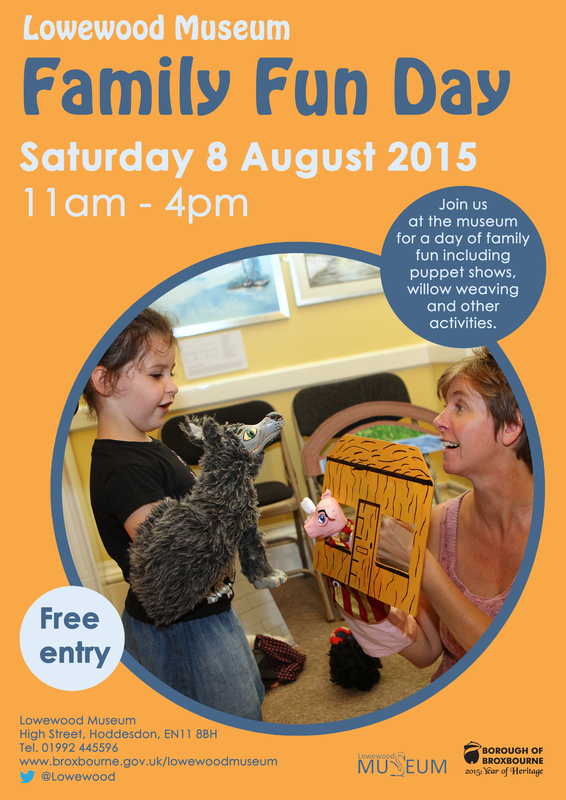 This exhibition is free to hire for venues in the East of England. Here are some photographs from the exhibition. From the dawn of human history, stories have been filled with tales of strange and mysterious beasts. The product of fantasy, dreams and imagination, these mythical creatures are often invented to explain strange events and can take the form of gods, omens or heroes. Taking you on a journey from the ocean’s depths to the mountain’s peaks, Epping Forest District Museum’s new exhibition, Mythical Creatures, explores the provenance of mythical creatures from around the world, delving into the fantastical stories that explain their existence. The exhibition is divided onto four main sections, Earth, Wind, Water and Fire, as, according to the Swiss Alchemist Paracelsus, mythical beings draw their spirit from these four universal elements. Using Paracelsus’ theory of the elementals as building blocks, the exhibition weaves the tales of new and old together to create a rich tapestry of mythical beasts. Although produced by Epping Forest District Museum, Mythical Creatures has been curated by Art students from Epping Forest College as part of the museum’s Young Curators Programme. Inspired by the stories and legends, these students have crafted a series of original artworks that feature their own interpretations of mythical creatures. Visitors can marvel at these artworks that range from a giant origami Nidhogg Dragon to chilling photographs of a modern medusa. The exhibition launches at Epping Forest College on the 13th April 2015 and in the lead up to the opening, we will be posting fun facts on our social media outlets to see just how much you know about the enchanting world of mythical creatures. Follow us on Twitter and Facebook to discover the link between a narwhal whale and Elizabeth I or what rhyme you must recite to vanquish a suspected changeling fairy from your home. 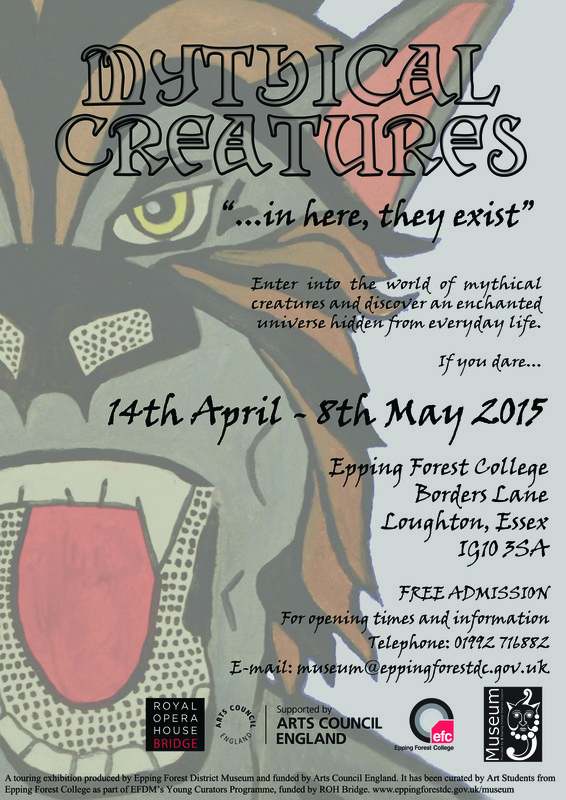 Mythical Creatures launches on 13th April 2015 and runs until 8th May at Epping Forest College, Loughton, Essex.